Cameron Mackintosh has just revealed more casting for the Broadway production of Les Miserables which is due to open on 23rd March 2014. As already announced Ramin Karimloo (currently in the Toronto show: The Phantom of the Opera: Love Never Dies) will star as Jean Valjean with Tony Award nominee Will Swenson (Hair, Priscilla Queen of the Desert, Little Miss Sunshine) as Javert, West End and Broadway actress Caissie Levy (Ghost, Hair, Murder Ballad) as Fantine and Tony Award winner Nikki M James (The Book of Mormon; Fetch Clay, Make Man) as Eponine. 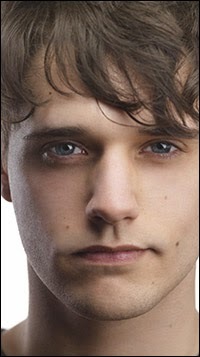 Two new cast members who are making their Broadway debut are Andy Mientus (NBC musical drama Smash, Spring Awakening national tour, Off-Broadway's Carrie) and Charlotte Maltby (Les Miz at the St Louis Muny, student at the University of Michigan) will play Marius and Cosette. Charlotte is the youngest daughter of Richard Maltby Jr who is probably best known in the UK as co-lyricist with David Shire on Miss Saigon.